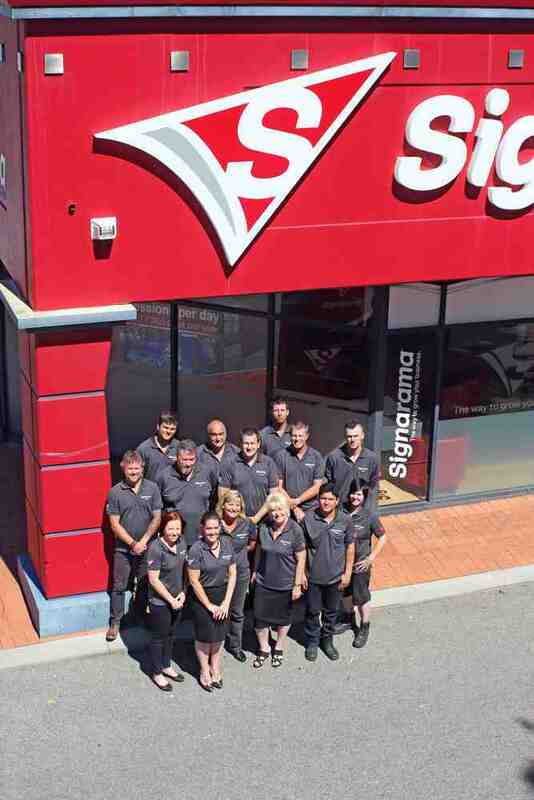 Signarama Joondalup was established by Craig Mason, and Shane Craig, in 2001 when they recognized the need for professional and reliable signage solutions for the Joondalup area and the wider Perth Metro area. Today Signarama Joondalup & Osborne Park has grown to employ in excess of 14 staff and has become an iconic fixture in the local business community. A dedication to best business practice and customer service excellence has enabled them to establish their business as one of the preeminent signage providers in Perth today. Signarama, the world’s largest sign franchise, is part of a successful system of business-to-business franchises under United Franchise Group. Our award-winning network of sign centers is approaching 1000 locations in 50 countries – truly making us “where the world goes for signs.” For more than 20 years we have been serving communities with quality products and customer service. Now that we have grown to become the world leader in signage, we still work hard to maintain the localized support and individual attention that made us who we are today.